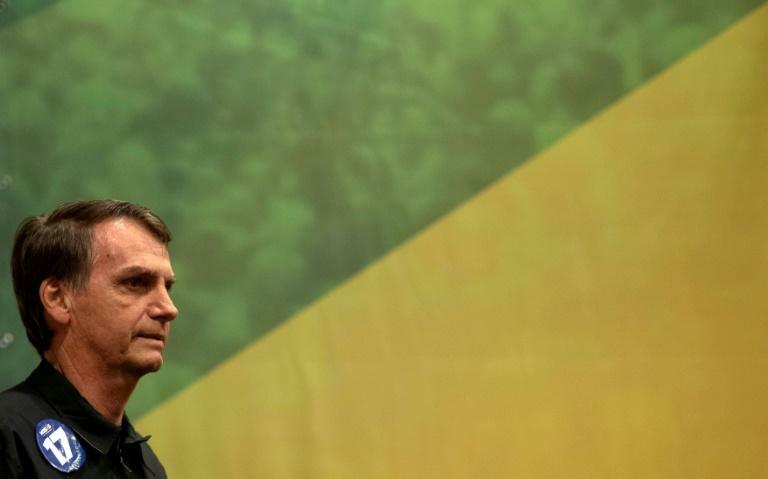 Promises by Brazil´s far-right presidential candidate Jair Bolsonaro and his entourage bode badly for the future of the Amazon -- called the "lungs of the planet" -- if he wins, environmentalists warn. The candidate is seen as pliant to the powerful agrobusiness lobby in his country known for putting profit ahead of preservation. One of his most controversial campaign pledges is to merge the agriculture and environment ministries into one. "Let us be clear: the future ministry will come from the productive sector. We won't have any more fights over this," Bolsonaro, who vows to boost Brazil's fragile economy, told a media conference four days after winning the October 7 first-round in the presidential race. "If he's elected, that will be the beginning of the end for the Amazon," his leftist rival in Sunday´s run-off, Fernando Haddad, said last week. Geraldo Monteiro, a political science professor at Rio de Janeiro State University, said: "As he's backed by the agrobusiness lobby in congress, which is really strong, Bolsonaro virtually wants to make the environment serve the interests of agrobusiness." That issue has long been a contentious one between Brazilian authorities and indigenous tribes -- particularly over one project already under construction, Belo Monte, which when finished will be the third-biggest dam in the world. In February, the hard-right candidate said that, if elected, he would not give up "one centimeter more" of land to indigenous communities claiming traditional land. His aim is to end what he sees as "Shiite ecologist activism," where "Shiite" to him means radicalism, with no religious connotation. In August, while visiting Roraima state within the vast Amazon, the longterm congressman railed against "Shiite control" over the public environmental agencies ICMbio and IBAMA, saying they "hurt those who want to produce." Oswaldo Ferreira, the retired general Bolsonaro wants to install as his transport minister, recently told the Estadao de Sao Paulo newspaper that those agencies only worked "to piss people off." IBAMA's chief, Suely Araujo, responded with a statement warning that establishing projects "with high environmental impact, without the necessary study, signified turning the clock back four decades." Emilio La Rovere, director of an environmental studies lab at the Federal University of Rio de Janeiro, said Bolsonaro's discourse "recalled the doctrine in place at the time of the military dictatorship," between 1964 and 1985 -- which Bolsonaro served as an army captain. That doctrine was "development at any price," to the detriment of the environment, which was seen as an "obstacle" to building roads or mining. For La Rovere, Bolsonaro's campaign promises could have "serious consequences at a global level" and also undermine efforts made over the past 15 years to preserve the country's exceptional biodiversity. 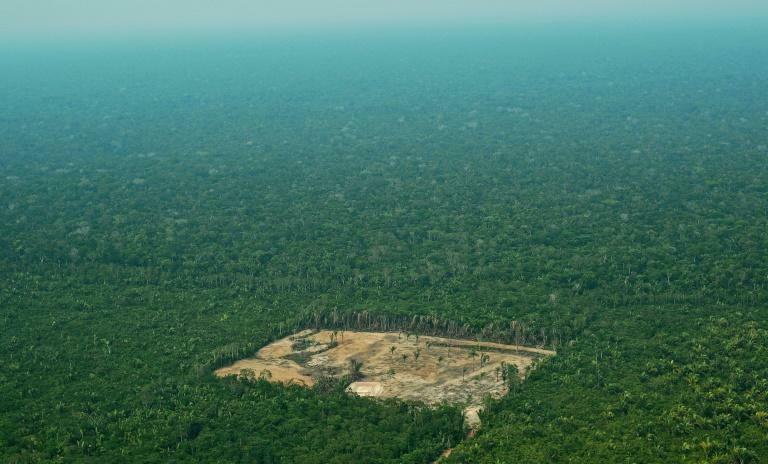 Greenhouse gas emissions have been cut almost in half under strict laws against deforestation. Lifting restrictions could block "the transition towards an economy based on low carbon emissions," he said. Bolsonaro has even threatened to follow US President Donald Trump's example of taking his country out of the Paris climate accord. "It would be a serious setback to have another major world economy run by a president who denies the importance of fighting climate change," said Lisa Viscidi, analyst at the US-based think tank The Dialogue. La Rovere said that, if that happened, Brazil could be hit with "trade sanctions from some countries over its beef or soya exports."